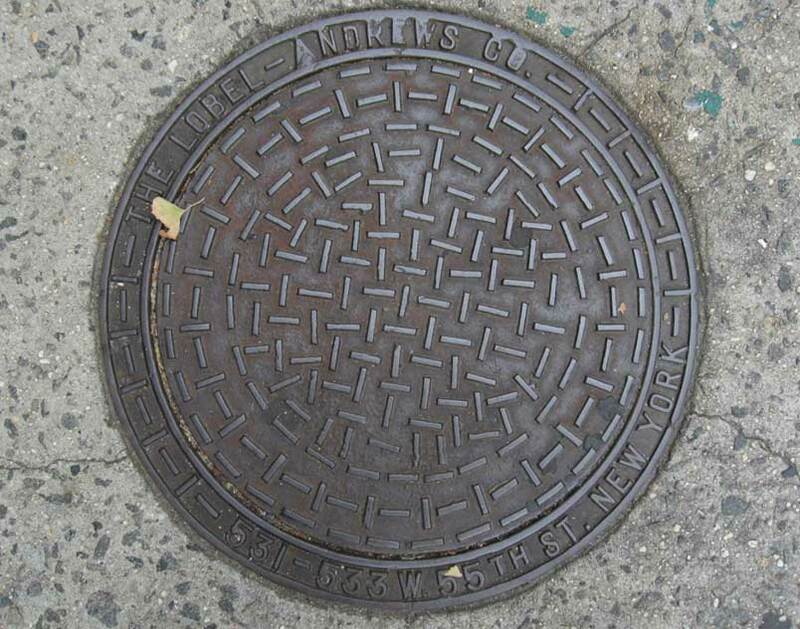 The Lobel-Andrews Co. were iron founders located at 531-533 W. 55th St. from approximately 1899 to 1911. Proprietors were Herman Lobel (1868-? ), Julius Lobel (1861/62-1941?) and Leroy Andrews (1864-1902). Leroy Andrews appears in the 1880 U. S. Census as the 16-year-old son of Miriam Andrews (age 56, born Pennsylvania), living at 204 E. 82nd St., New York City. He also seems to be the Leroy Andrews who was an importer and wine merchant located on 393 Canal St. in the mid-1890s. A brief notice in the New York Times (12 July 1902, p. 7) recorded his death, "Leroy Andrews, a member of an old Southern family, died at his home, 353 West End Avenue, yesterday, of heart disease, after an illness of about a year. He was thirty-eight years old, and was born and educated in this city. He was a partner in the Lobel-Andrews Company, manufacturers of ornamental ironwork. He was a member of the Sons of the Revolution, the Colonial Club, and the Calumet Club. His Widow survives him. Funeral services will be held at the residence Monday at 11 A. M., and the interment will be in Cypress Hills." Julius and Herman Lobel were brothers, and they appear in the 1900 U. S. Census as the sons of Jacob Lobel (born Jan. 1832, Austria) living at 64 E. 94th St., New York City. The census recorded Julius Lobel as 37 years old and born in Austria July 1862. Herman Lobel was 32 years old and was born in Austria Feb. 1868. Both brothers immigrated in 1885. The 1910 U. S. Census recorded Herman Lobel, now 42, an "Architect, Iron Work," living at 215 Manhattan Ave., New York City. But Julius Lobel seems to have left New York by this time, and was living in Los Angeles, where he was the proprietor of a restaurant. The trail gets a bit murky at this point, but it is possible that by 1920 both brothers lived in Los Angeles, where Julius was the proprietor of a delicatessen, and Herman was a salesman of automobile supplies. The California Death Index recorded a Julius Lobel, born 21 July 1861, who died 13 Nov. 1941, in Los Angeles. This ad for Lobel-Andrews Co. appeared in the Catalogue of the Twentieth Annual Exhibition of the Architectural League of New York, 1905. This ad for Lobel-Andrews Co. appeared in the Building Trades Employers' Association Bulletin, 1905.